We are engaged in offering an extensive range of Asphalt Mixing Machine to our clients, which is available in asphalt plant (stationary) for bituminous macadam. Our range is available in the various capacities ranging from 30TPH to 170TPH. 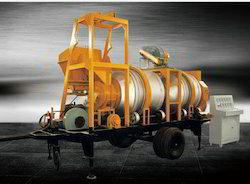 Looking for Asphalt Mixing Machine ?